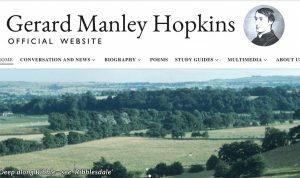 The Center for Textual Studies and Digital Humanities at Loyola University Chicago has released a new website dedicated to Gerard Manley Hopkins, the famed 19th-century Jesuit poet. — and a selection of photographs and videos. Frank Fennell, Professor Emeritus at Loyola University Chicago, is the project director. Kyle Roberts serves as the director of the Center for Textual Studies and Digital Humanities. Project funding came from Loyola’s College of Arts and Sciences, its Hank Center for the Catholic Intellectual Heritage, and its Jesuit Community. The website is available at http://hopkinspoetry.com/.